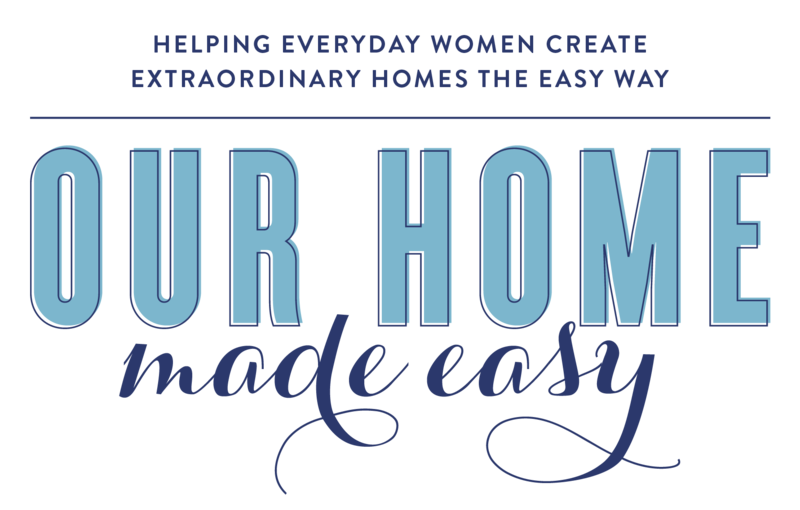 I’m a little embarrassed to show you this project… only because it’s been sitting in the to-do pile for since Christmas. 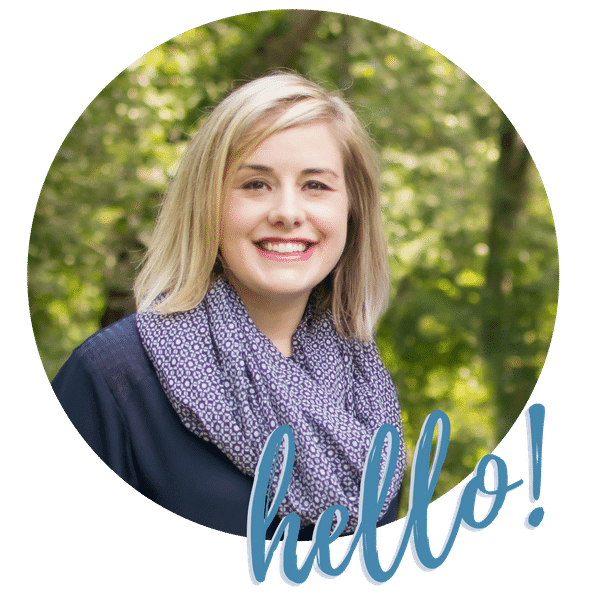 I’ve been meaning to post it, but hadn’t gotten around to writing the copy, editing the photos, and creating a pin (blogging is work, y’all!). 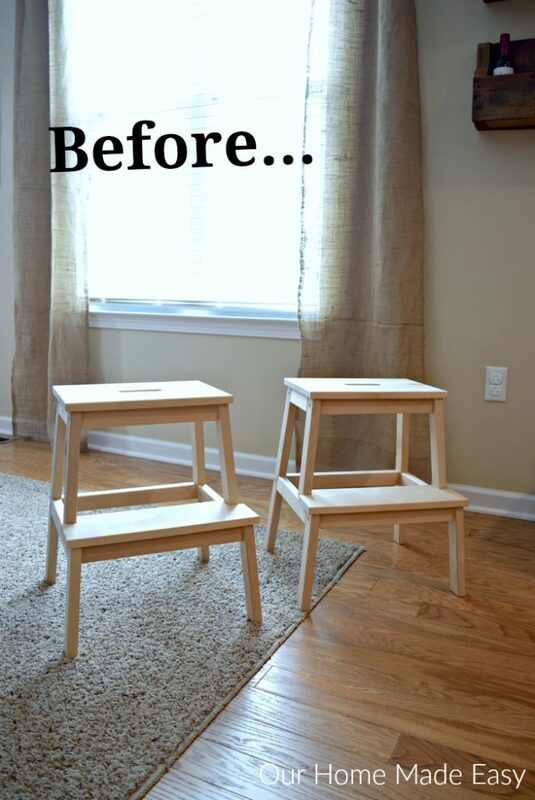 But I am EXCITED to show this super easy IKEA hack that you can do literally today! Let’s get to it…. 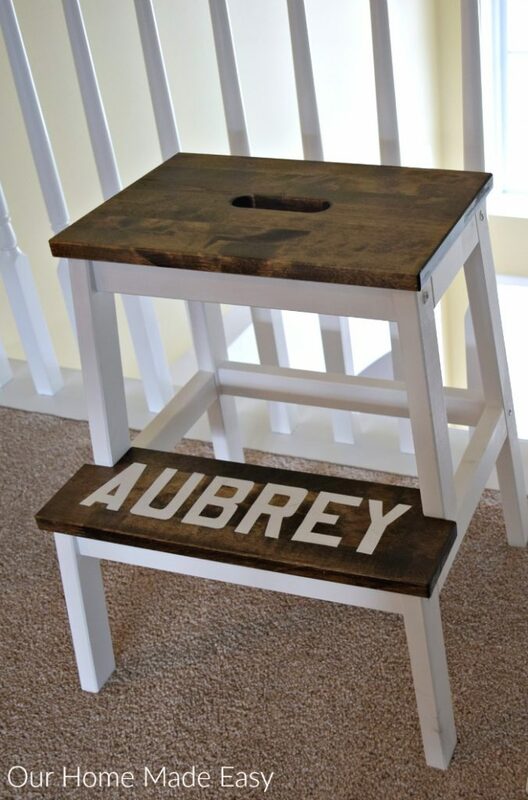 Jordan wanted to build step stools for the kids all last fall, but never got around to actually make them. Then Christmas Eve Eve, he decided he was going for it. Luckily I was able to convince him that rather than build his own, maybe we should semi-DIY it. Thankfully he agreed. I remembered that I had seen a super cute IKEA hack that Lauren from Bless’er House did years ago and thought, “WE NEED TO VISIT IKEA. Right now.” <<It’s about 15 minutes from our house. Whew. 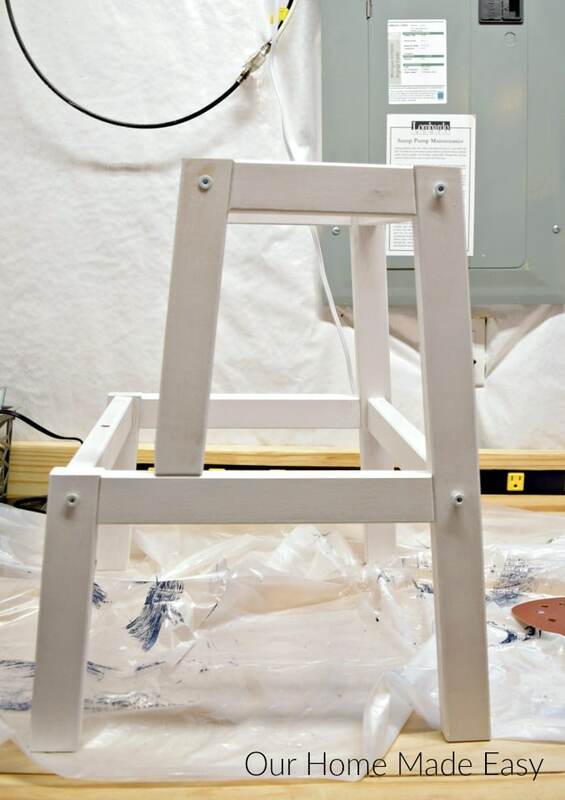 So, we picked up two of these IKEA Bekvam stools for $20 apiece. 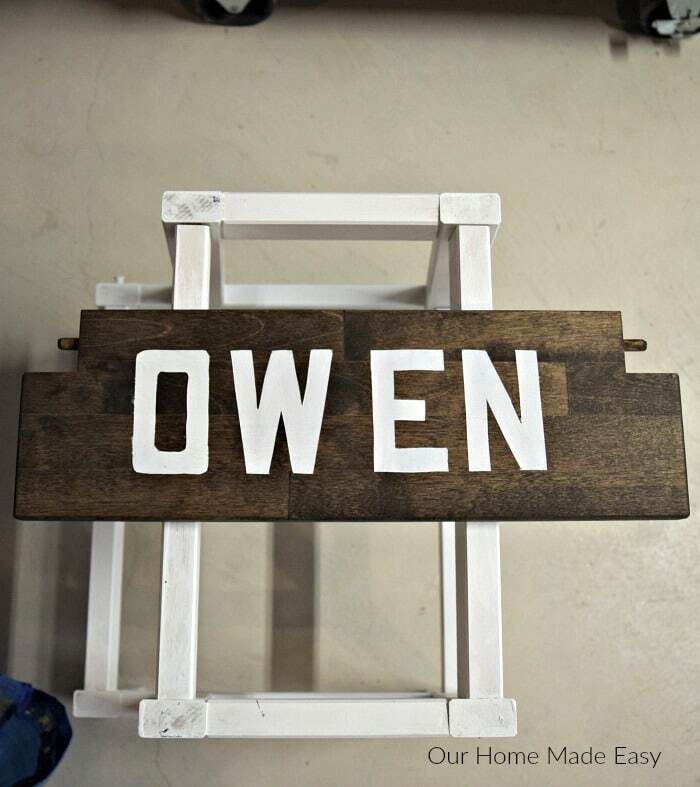 And then Jordan could continue on with his DIY plans, minus the fact that we wouldn’t be looking at straightness of wood at Lowe’s… on December 23rd. Did we pay more than if we DIY’d it ourselves? Probably, but time is money at Christmas and it saved us hours of effort. So definitely worth every penny! While we had to purchase the stools, everything else was on-hand. So this IKEA hack cost us virtually nothing. 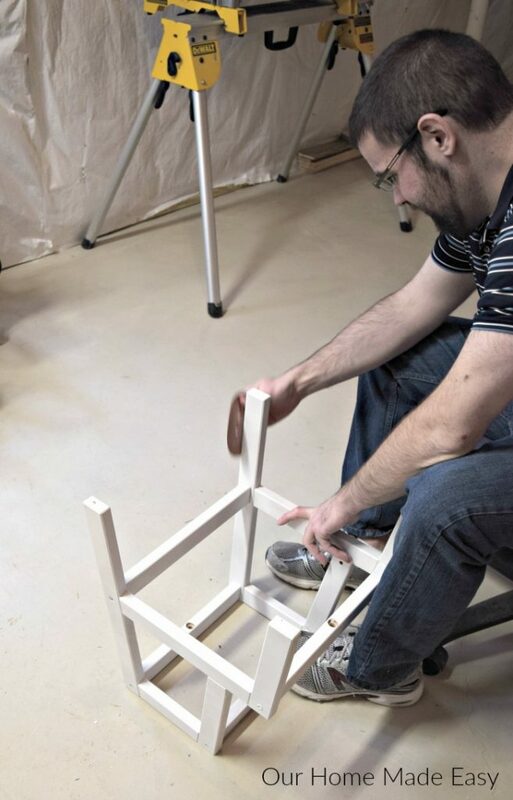 First we assembled the stools. Then we quickly learned, that it would be much quicker to line up the pieces assembly line style. So they came apart. The legs took two coats of bright white paint. Jordan sanded in-between the coats to ensure a smooth finish. 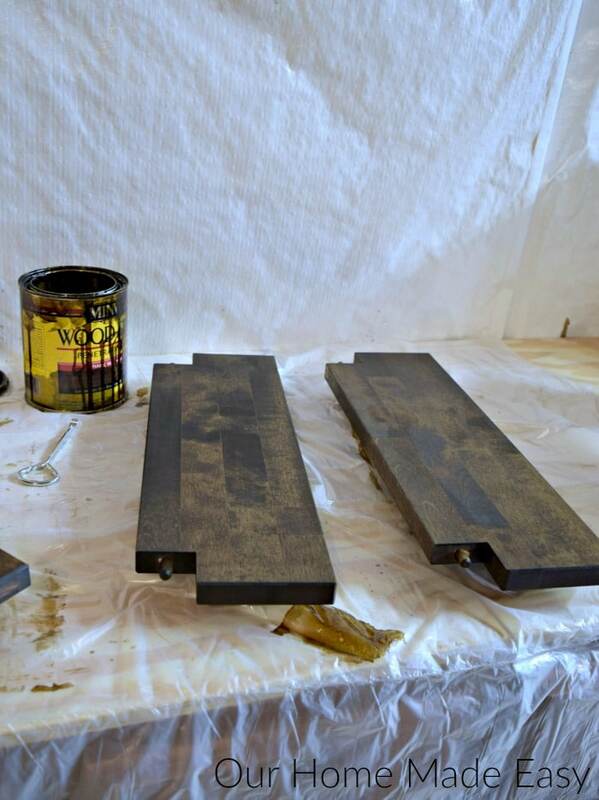 The treads also took two coats of stain to achieve the high contrast look we wanted. Once the treads were fully dried, Jordan stenciled on the kids’ names. By this point we were well into Christmas Eve and we couldn’t wait to share them with Aubrey & Owen. 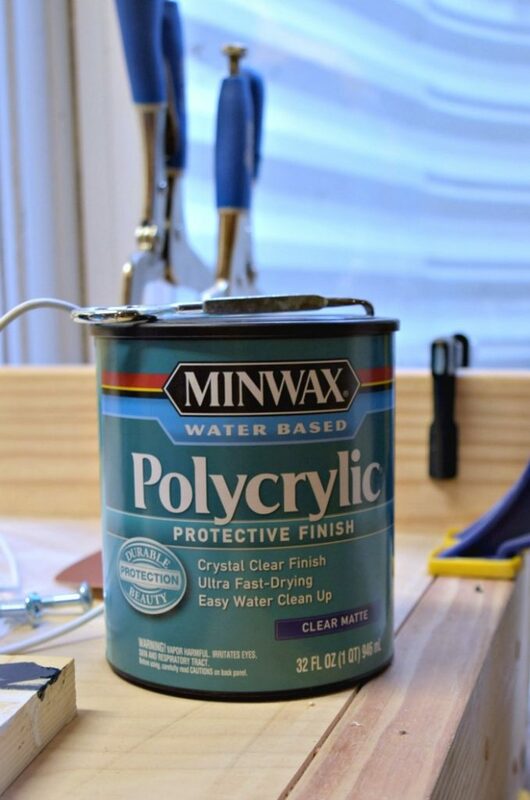 In order to seal everything, Jordan added two coats of matte poly. Like the paint, Jordan sanded in between coats of poly. 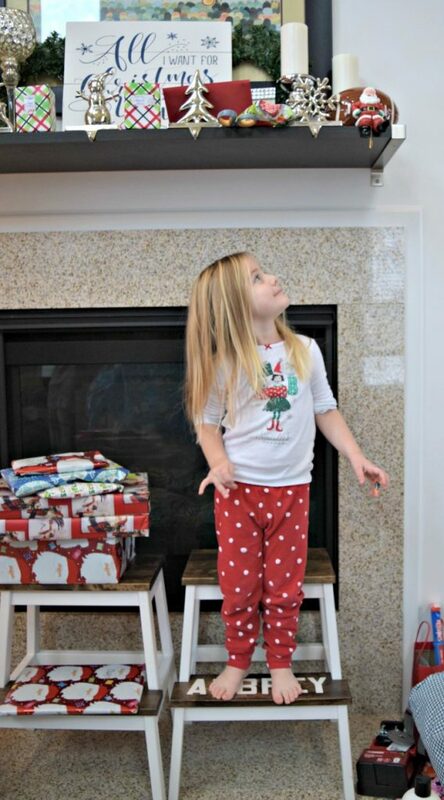 Do you think she liked her new step stool on Christmas morning? While the stools are housed in their bathroom, the lighting is absolutely horrendous. And let’s be honest, you don’t want to see that builder grade bathroom. 😉 So I pulled the stools out in the loft to snap a better picture. And before you ask, the kids were not home… so no ideas were created! What is your favorite IKEA hack? Tell me in the comments! 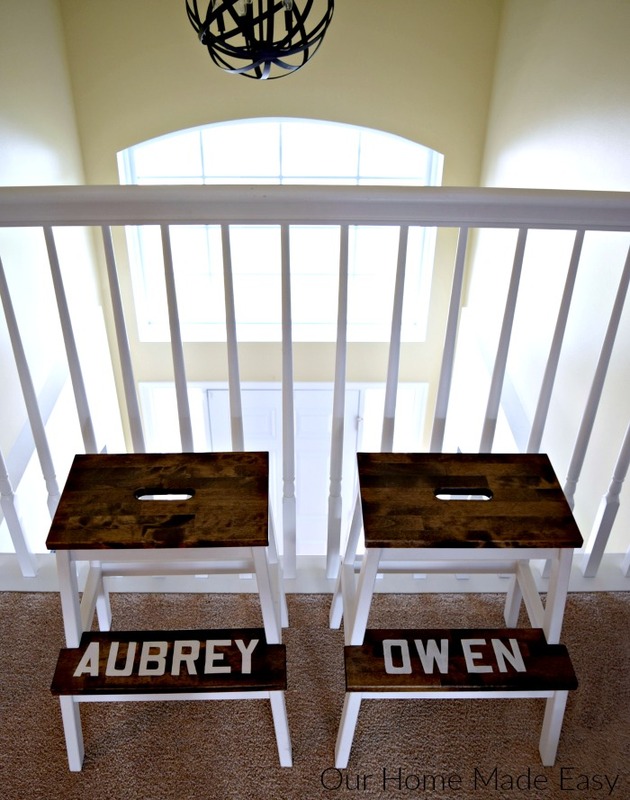 Cute stools! Love the stain with the white paint. I have a couple of these stools as well. Have only DIY-d one so far. You’ve inspired me to conquer the second! Visiting from Remodelaholic. Looks good! 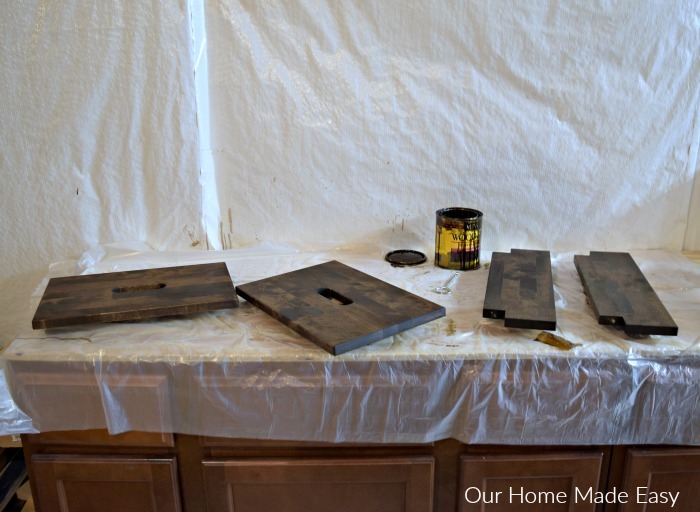 Did you sand before you stained the treads?